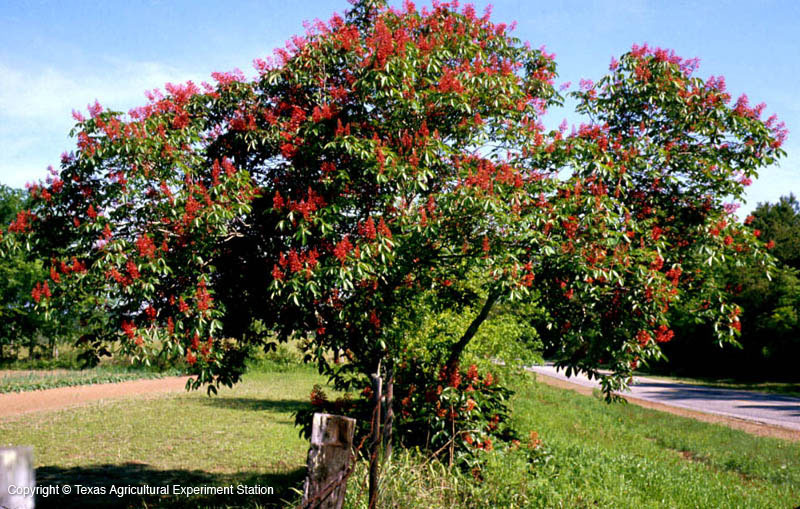 A tall shrub or small tree with a single or multiple stems, red buckeye produces showy clusters of bright red flowers in early to late spring. The palmately compound leaves have 5 leaflets and generally emerge before the flowers. 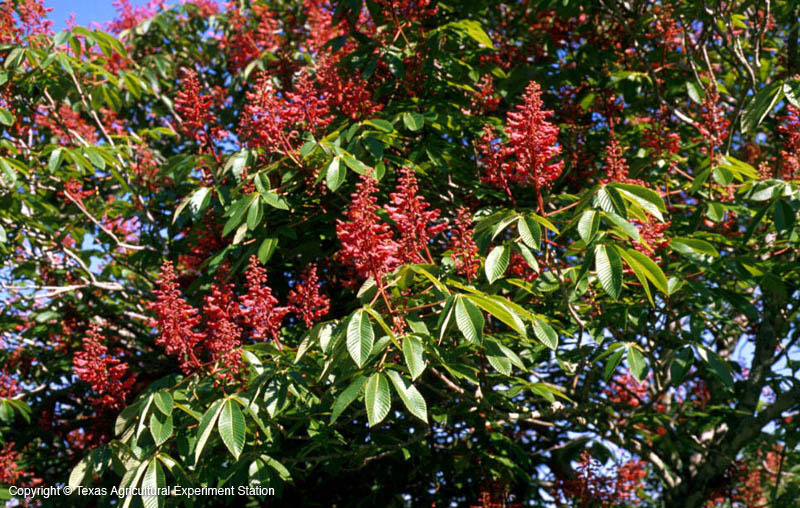 As is true of other buckeyes in Texas, the leaves of red buckeye fall in mid- to late summer. The loss of leaves is usually associated with a disease complex, although it is not necessarily the primary cause. The defoliation is sometimes less severe in the partial shade of the eastern forests. 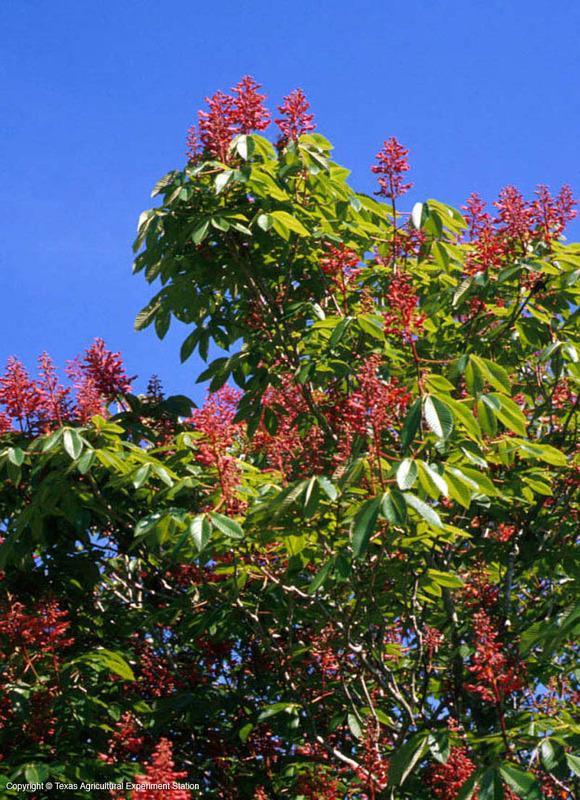 Red buckeye typically grows as an understory tree in the moist, rich, slightly acidic soils of the Pineywoods, but it is found as well on the Post Oak Savannah, Blackland Prairies and Edwards Plateau, where it hybridizes with Aesculus pavia var. flavescens.